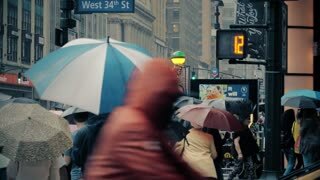 NEW YORK CITY - Circa, July, 2014 - An extreme slow motion 120fps shot of pedestrians crossing the streets of Manhattan in the rain. NEW YORK CITY, Circa July, 2014 - An exterior view of the main entrance of Trump Tower in Manhattan. FOR EDITORIAL USE ONLY. NEW YORK - Circa December, 2015 - The Manhattan skyline as seen from a subway car crossing the Manhattan Bridge. 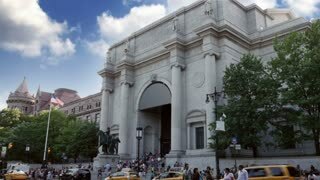 NEW YORK CITY - Circa July, 2014 - An establishing shot of the Museum of Natural History in Manhattan. 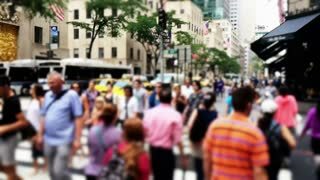 NEW YORK CITY - Circa, July, 2014 - An defocused extreme slow motion 120fps shot of pedestrians crossing the streets of Manhattan. 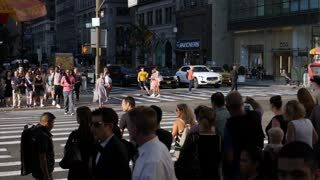 NEW YORK CITY - Circa, July, 2014 - An extreme slow motion 120fps shot of pedestrians crossing the streets of Manhattan. Editorial use only. 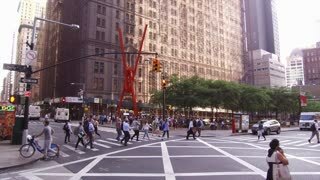 NEW YORK CITY - Circa, July, 2014 - An extreme slow motion 120fps shot of the streets of Manhattan. 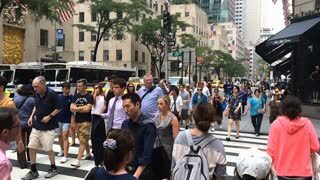 NEW YORK CITY - Circa June, 2017 - A slow motion shot of pedestrians crossing West 42nd Street in midtown Manhattan. Shot at 48fps. 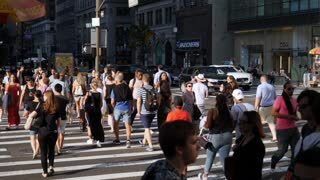 NEW YORK CITY - Circa June, 2017 - An extreme slow motion shot of pedestrians crossing West 42nd Street in midtown Manhattan. Shot at 180fps. Part 2 of 2. 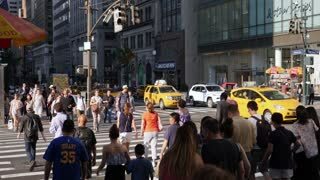 NEW YORK CITY - Circa June, 2017 - An extreme slow motion shot of pedestrians crossing West 42nd Street in midtown Manhattan. Shot at 180fps. Part 1 of 2. NEW YORK CITY - Circa October, 2017 - Pedestrians with umbrellas cross rainy W 34th Street in midtown Manhattan.